At our workshop we also offer All vehicle services from motorcycle, car and van service and repairs to full blown restorations, We are experienced AUTO ELECTRICIANS and offer everything from a simple addition of some spot-lamps to a complete ICE installation. All electrical accessories are supplied and fitted from a simple electric aerial to a full ALARM and TRACKER system.With a variety of offerings to choose from, we’re sure you’ll be happy working with us. Look around our services offered page and if you have any comments or questions, please feel free to contact us. We hope to see you again! Check back later for new updates to our website. There’s much more to come! At Abars we use the best of the best when it comes to our products and tooling, Silca is the market leader in vehicle and domestic keys with a massive range and extensive history producing a wealth of knowledge in the key industry that is second to none. This is reflected in the products we offer giving our customers a reliable and cost effective solution for their key needs. 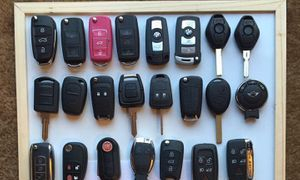 KEYDIY is an aftermarket solution for replacement remotes which are equal to and in most cases superior to the genuine OEM remotes that are originally supplied with cars, we can supply these remotes at a fraction of the cost that the car manufacturer charges as a fantastic option for our clients. 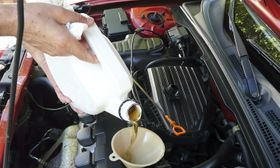 While your Vehicle is here for keys,we also offer full garage services including all mechanical repairs, A/c Servicing, MOT repairs, Paintwork and much more, Just ask.